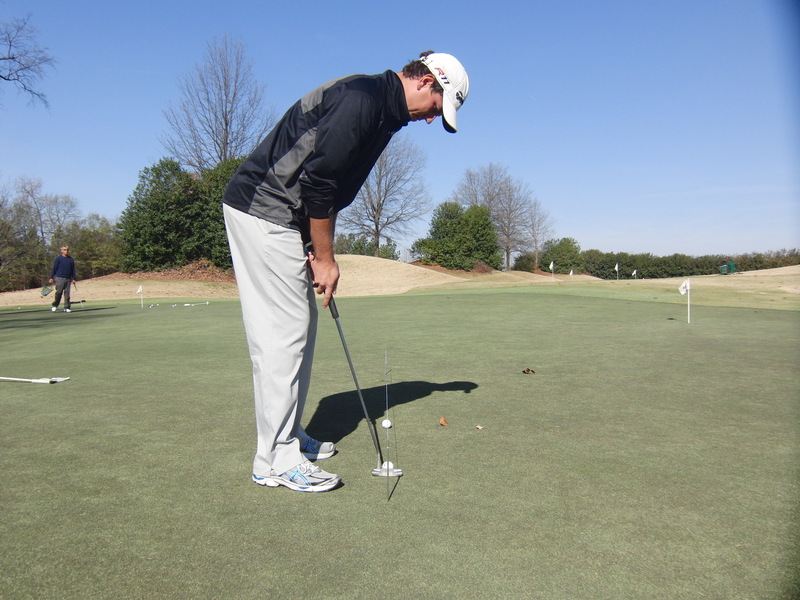 One of the most important aspects of putting is to make sure that the ball starts on your intended line. This skill is what separates the amateur from the tour pro. To start your ball on-line your clubface has to be square to the target. With these things in mind I recommend that you make sure your eyes are over the golf ball so that you can have a better perception of where your clubface is aiming. If the eyes are not over the golf ball things can become tricky due to the illusions a golfer sees when their eyes are inside or outside of the golf ball. To illustrate these concepts I took some pictures of what the target line looks like to three different players. This is a picture of two balls underneath the target line. In all of the following pictures this never changes. The first ball is the ball the player sets up to and the second ball represents where the ball starts (on the target line). 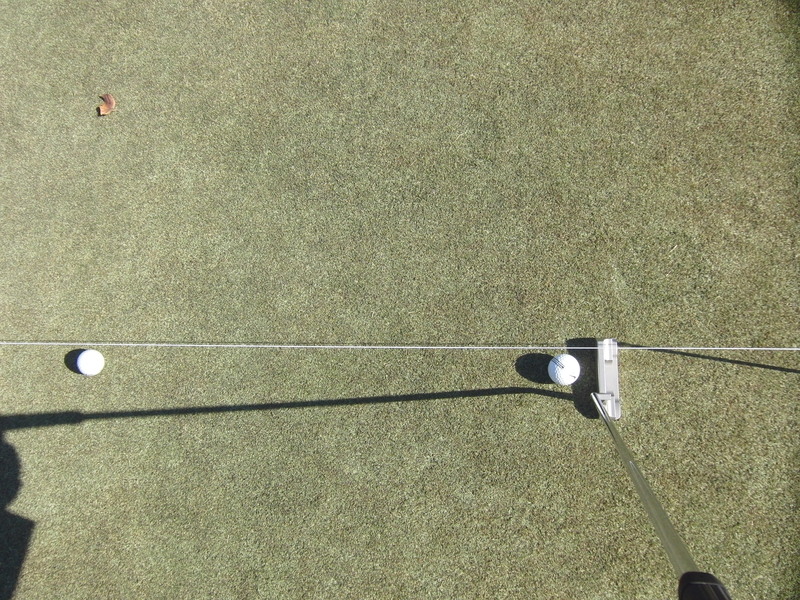 Here are the examples of what a golfer sees when their ball starts online to the target. Notice the difference in what the ball looks like in relation to the target line. 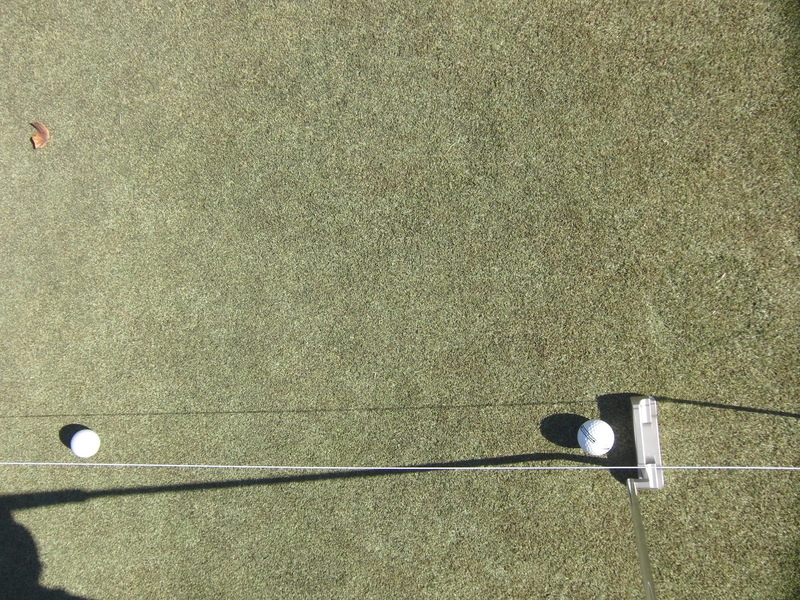 The clearest view to see the target line from is over the golf ball. Let me be clear though that I have taught all three of these types of players and all three players can be great putters. The point I want to make is that it will take you far less time to develop a repeatable stroke knowing that your clubface is square and that you are going to start the ball on the line you intended if you have your eyes over the golf ball. To get better at this skill find yourself some string and two rods (pencils) and place them over your intended line towards the hole. 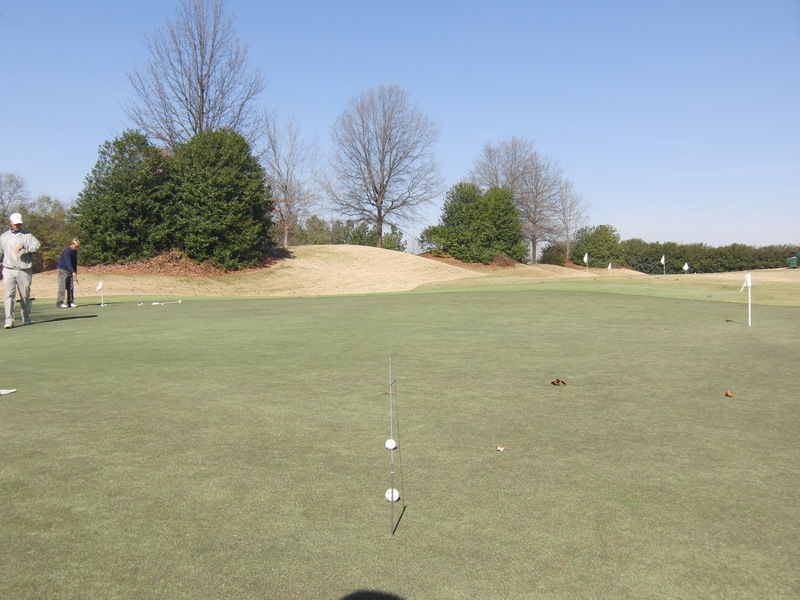 Use this line to make sure the ball and putter look like the middle image above. 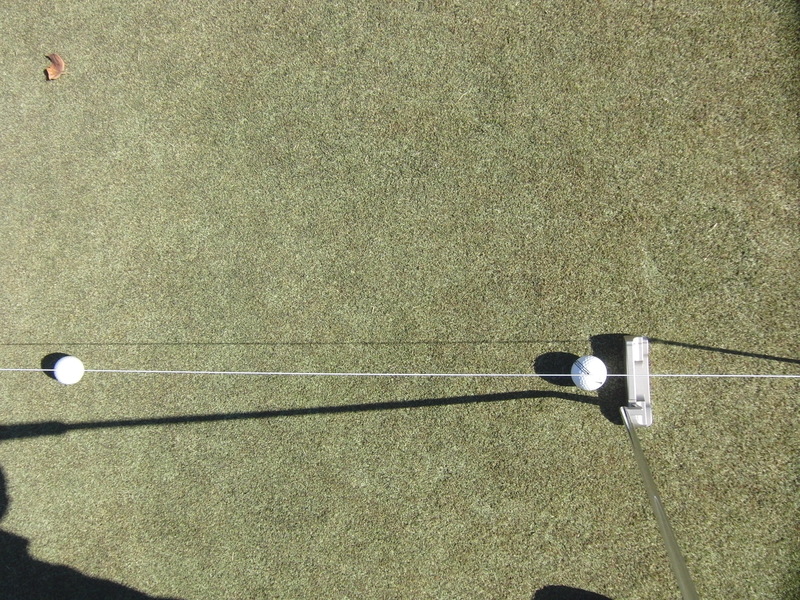 If you do this you will know that the line on the back of your putter is square and your eyes are over the golf ball. 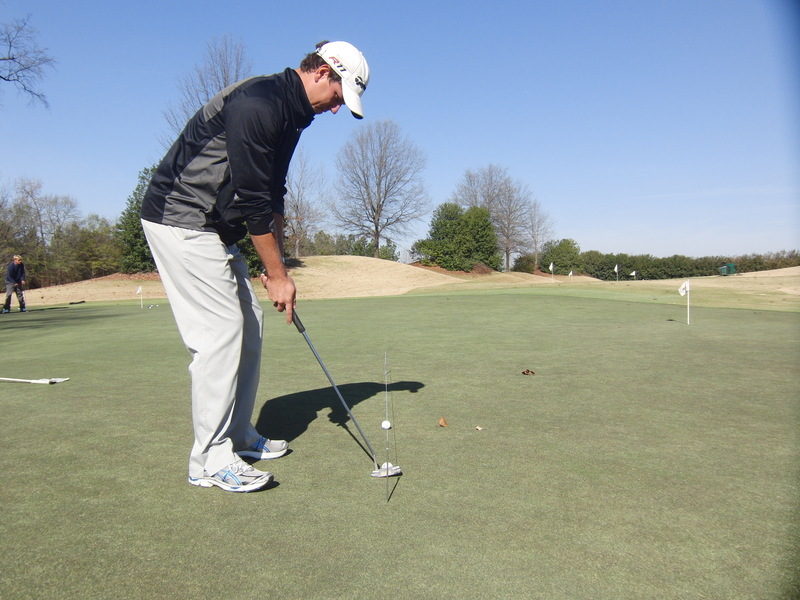 Next stroke the ball down the intended line and practice getting your ball to start online just like the tour pros. 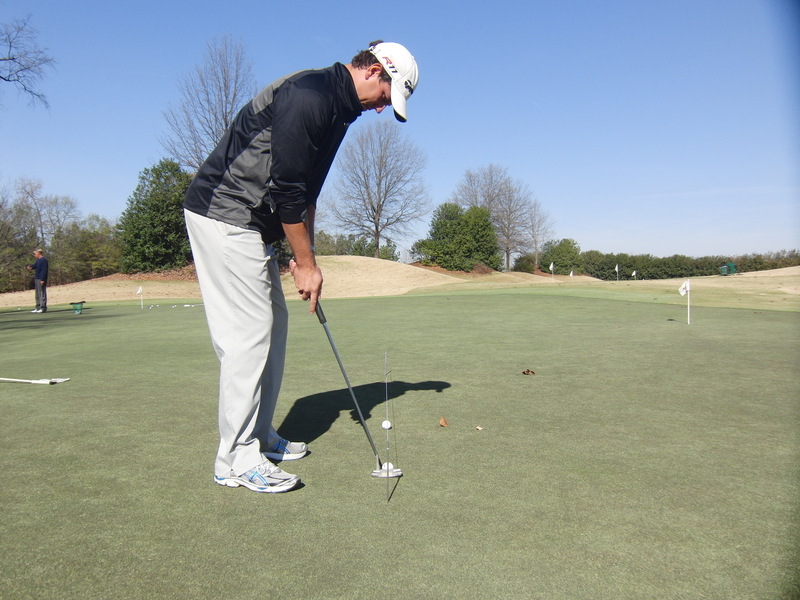 I have no doubt that if you practice this your putting will improve and your scores will lower. If you enjoyed this post and would like to work with me personally please call 919-449-4274 or email me at drew@marclapointegolf.com. Also visit my website at http://www.andrewkiger.com.